The Patrol BC is an impressively light weight, rear inflation BC that is anatomically designed for maximum comfort and durability. 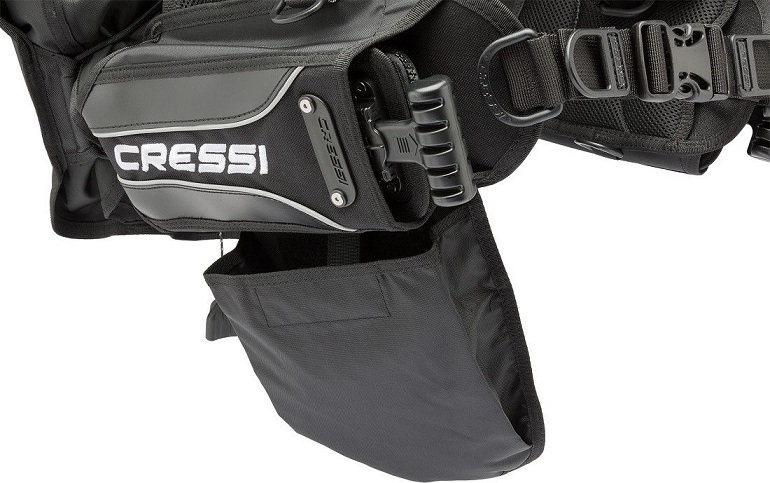 The special air cell compression strap guarantees extra quick deflation and volume control. 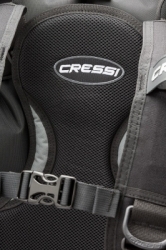 The ultralight rigid back plate with its integrated carrying handle ensures optimal stability. 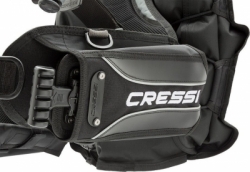 The Patrol also features Cressi's Flat-Lock-Aid integrated weight system that makes it easy to release the pockets. There are 3 over pressure relief valves/dump valves: one on the upper part of the inflator hose, one valve on the right-hand side of the shoulder and a third on the lower right-hand side of the air cell. 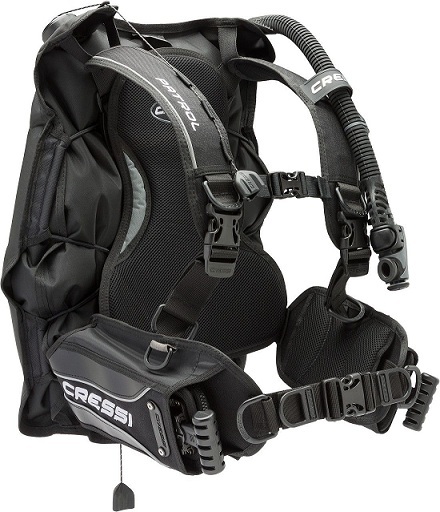 The inflator dump/valve is cable activated by pulling on the power inflator mechanism and the shoulder and lower valves have a pull cord. 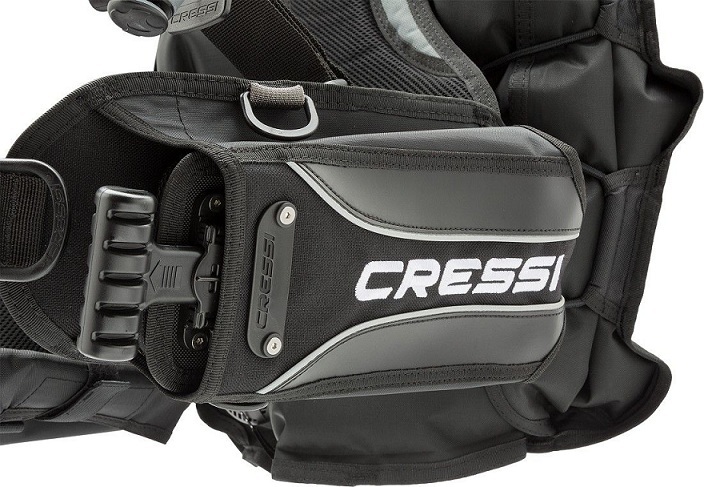 Features Flat-Lock-Aid Integrated Weight Pockets with 20 lbs. 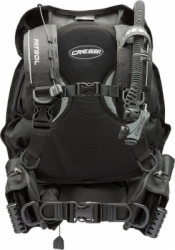 (9 kg) weight releasable capacity, optional tank band Trim Weight Pockets (see SKU: CSBTWP) a light ridged back plate with soft padded back, and 1-roll-up cargo pocket. 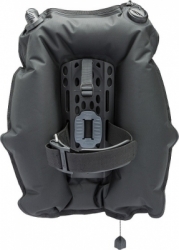 The Patrol also features plastic D-rings to help reduce weight and the shoulder and waist harness are fully adjustable to one full size up or down from the stated size. 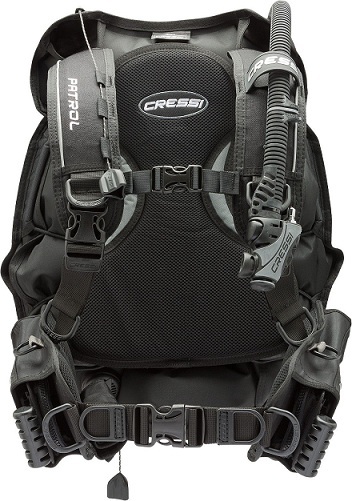 Rear inflation design with a durable 420-Denier nylon air cell with bungee cords to provide a low profile and rapid deflation of air cell. The BCD harness system uses traditional squeeze-style" side-release buckles and adjustable straps on the shoulders, chest and waist for precise adjustment and fit. BCD comes equipped with Cressi's streamline Commando Power Inflator with 3/8" threaded quick-disconnect hose. The inflator mechanism is environmentally sealed for greater reliability and less maintenance. 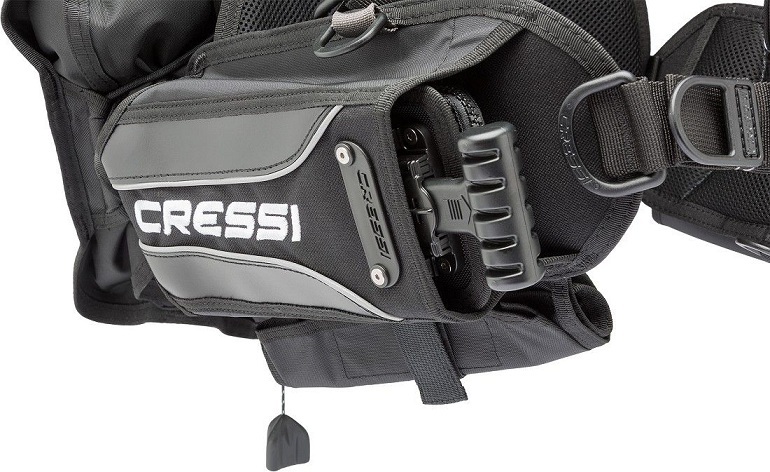 The Cressi Ace BCD provides a lift capacity from 29.2 lbs. to 50.6 lbs. (13.3 kg to 22.9 kg), weighs from 6.7 lbs. to 7.5 lbs. (3 kg to 3.4 kg) depending on size and comes with an owner's manual.